Detective Brady St. John was settled in for a relaxing get away, a break that he needed physically, mentally and emotionally. However, that quickly changes when he rescues a woman from the cold water, and then the cabin he is borrowing is set on fire as he and the woman whom he had rescued escape and run for their lives. Emily is utilizing the things she learned while living on the streets so many years ago, and it is proving to help as she has managed to stay alive so far, along with the help of Brady. Emily and Brady scramble to find out who all is involved as there are several whom are unhappy with what Emily has uncovered at the bank where she works and this has resulted in her kidnapping, but also the kidnapping and placing others close to her in danger. Brady is fighting to survive, along with protecting Emily, but he feels his heart become involved, must to the dismay of his siblings as he has been hurt in the past. I absolutely love this series! This is book #3 in the Blue Justice series and be sure to read #1 and #2 first as you will be introduced to the whole St. John family and they are so good as well! Lynette dives right into the action and I was immediately hooked on the story and my heart racing right away and had to keep reading to find out who all was involved and how the characters would survive, if they did. Lynette's writing flows so nicely and has so many twists and turns and full of action that it is so easy to become lost in the story. She also sprinkles in the romance nicely as well balancing the romance and suspense. I read the sneak peak for book #4 and am anxious for that to be out next and to spend more time with the St. John family and the characters whom I've met along the way. Dale Earnhardt Jr.’s only authorized book revealing the inside track on his final year of racing and retirement from the driver’s seat. It was a seemingly minor crash at Michigan International Speedway in June 2016 that ended the day early for Dale Earnhardt Jr. What he didn’t know was that it would also end his driving for the year. He’d dealt with concussions before, but concussions are like snowflakes, no two are the same. And recovery can be brutal, and lengthy. When NASCAR star Dale Earnhardt Jr. retired from professional stock car racing in 2017, he walked away from his career as a healthy man. But for years, he had worried that the worsening effects of multiple racing-related concussions would end not only his time on the track but his ability to live a full and happy life. Torn between a race-at-all-costs culture and the fear that something was terribly wrong, Earnhardt tried to pretend that everything was fine, but the private notes about his escalating symptoms that he kept on his phone reveal a vicious cycle: suffering injuries on Sunday, struggling through the week, then recovering in time to race again the following weekend. For the first time, he shares these notes and fully reveals the physical and emotional struggles he faced as he fought to close out his career on his own terms. In this candid reflection, Earnhardt opens up about his frustration with the slow recovery, his admiration for the woman who stood by him through it all, and his determination to share his own experience so that others don’t have to suffer in silence. Steering his way to the final checkered flag of his storied career proved to be the most challenging race and most rewarding finish of his life. "Racing to the Finish: My Story" is the book written by Dale Earnhardt Jr. himself giving the reader a first-hand account of the end of his racing career. This is a must-read for Nascar fans and especially for those whom have following Earnhardt throughout his career. Dale shares the truth and what he had to deal with over the course of several years as he would suffer from concussions and the impact that these had on his career but the impact on his life in every way. Writing can be therapeutic and while reading this, I believe writing this book was therapeutic for Dale and reading it will be for the fans as well. This is a nice hardcover edition that it is a quick read and will have you smiling and remembering the good times watching him race and having a better understanding of the sacrifices and tolls that go along with this lifestyle. Let's all get in the mood for Christmas with this blog tour and giveaway for Silent Days, Holy Night by Phyllis Clark Nichols, hosted by JustRead Tours. Everyone in town knows Emerald Crest, the green granite mansion atop the highest hill: the legendary, lavish Christmas festivities that used to light up the nights — and the silence that followed when the parties abruptly stopped many years ago. And eve ryone has heard whispers about the reclusive, mysterious master of the manor, Henry Lafferty the Second . . . When eleven - year - old Julia Russell steps into the great house for the first time and meets Mr. Lafferty, the entire course of her life is altered. She meets a man who is nothing at all like the rumors she’s heard from neighbors and classmates. He’s kind and extraordinarily talented — he also happens to be deaf and uses a wheelchair. And when she overhears a secret about him, Julia decides it’s time for the town to bring Christmas back to Emerald Crest — an act that will change them all forever. “Yes, sir.” Dad prayed with me, kissed me goodnight, and turned off my bedside lamp. As soon as he closed my door, that’s when the light came on—the light in my brain. Phyllis Clark Nichols’s character - driven Southern fiction explores profound human questions usi ng the imagined residents of small town communities you just know you’ve visited before. 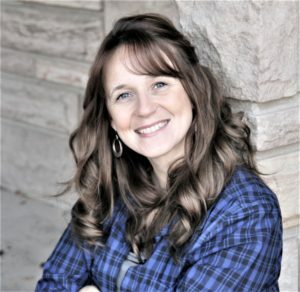 With a strong faith and a love for nature, art, music, and ordinary people, she tells redemptive tales of loss and recovery, estrangement and connection, longing and f ulfillment . . . often through surprisingly serendipitous events. Phyllis grew up in the deep shade of magnolia trees in South Georgia. Born during a hurricane, she is no stranger to the winds of change: In addition to her life as a novelist, Phyllis is a seminary graduate, concert pianist, and cofounder of a national cable network with health - and disability - related programming. Regardless of the role she’s playing, Phyllis brings creativity and compelling storytelling. She freque ntly appears at conventions, conferences, civic groups, and churches, performing half - hour musical monologues that express her faith, joy, and thoughts about life — all with the homespun humor and gentility of a true Southern woman. Phyllis curr ently serves on several nonprofit boards. She lives in the Texas Hill Country with her portrait - artist husband. Follow along a t JustRead Tours for a full list of stops! This is an excellent science fiction/dystopian novel for both adults and young adults. Thomas Locke has created characters whom you cannot help but like and feel like you're connecting with throughout the story as they are working together and discovering how individually they can contribute to the group. What I really like the most is the descriptive writing, these two sentences begin the book: "The night was beyond black. The windless air condensed the fog into droplets that clung to every surface." I could feel this air and see the darkness, I love when I feel as if I am a part of the story, transported into the setting and Thomas has the ability to do this with his writing. Added to the descriptive writing is non-stop action that will keep you turning the pages and you will find yourself holding your breath and wondering what is going to happen next. A great book that will have you hooked on the story, highly recommend it! Inspirational author Rachel J. Good writes life-changing, heart-tugging novels of faith, hope, and forgiveness. 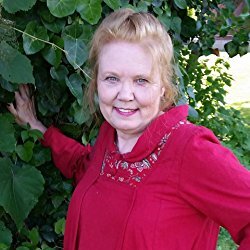 The author of several Amish romance series, she grew up near Lancaster County, Pennsylvania, the setting for many of her stories. Striving to be as authentic as possible, she spends time with her Amish friends, doing chores on their farm and attending family events. Rachel’s Amish series include Sisters & Friends (Charisma House/Harlequin), Love & Promises (Grand Central), Hearts of Amish Country (Annie’s Book Club), and Surprised by Love as well as several anthologies—Springs of Love, Love’s Thankful Heart, Plain Everyday Heroes—and the Amish Quilts Coloring Books. This is a really sweet story filled with forgiveness, hope, and love, and one that will draw you right into the characters' lives from the very beginning. Kyle has returned home, something that he never thought he would do. Leah is working toward her dream, amidst obstacles and she is not prepared for the turns her life is taking. Kyle and Leah find themselves working together when Kyle takes over for doctor from his hometown and Leah begins working in the office. These two have different styles of approaching illness and doctoring, and find themselves having to work together and compromise. Both of these two main characters are dealing with their own battles and struggles from their pasts and also current ones. I really enjoyed getting to know both Kyle and Leah as they became so real in this book and their hearts and their true beings really shone through based upon their interactions with each other and with the other characters. Rachel does an incredible job with really bringing this story to life as the characters are so real and the story just flows so seamlessly. After reading this book, I now want to go read others by Rachel as I enjoyed this one so much, but also to read more about some of these characters! I highly recommend this book to those whom enjoy Amish fiction! The Amish and Herbal Remedies As many of you know, my Amish novels are based on real life. I get ideas from hanging around Amish friends, hearing their stories and observing their lives. I’d never invade their privacy by telling their stories exactly as they happen, but the things I learn trigger plot ideas. I’ve always been fascinated by the way the Amish approach healing. Once thing I’ve learned is that, although they’re usually willing to visit doctors, they don’t always take the medicines that are prescribed. Instead, they often substitute herbal remedies. That, and several visits to one of my favorite Amish natural products stores, gave me an idea for one of the conflicts in The Amish Midwife’s Secret. Leah, an Amish midwife, prefers herbal remedies. Of course, that puts her in direct conflict with Kyle, the new Englisch doctor in town, who only believes in science and traditional medicine. Put the two together and lots of sparks fly. Of course, some of those sparks are also of a romantic nature. Leah is not only a midwife, but her family owns a natural products store. She knows the best herbs for healing. Rather than sending a small boy to the hospital for pneumonia, Leah covers the baby’s chest with a warm mixture of onions and other herbs and spices (some Amish friends prefer raw onion for congestion), and she feds the baby fresh pineapple juice for his cough. As a doctor, Kyle is horrified. He wants to admit the baby to a hospital at once. And he expects the old country doctor he’s replacing to back him up. Instead, Dr. Hess informs Kyle that many of the Amish go to doctors for a diagnosis, but then rely on herbal treatments rather than prescriptions. 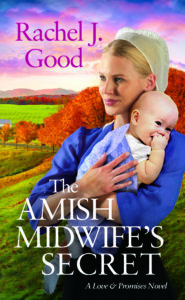 Kyle, who’s been debating about whether to stay in Amish country or move to a big-city hospital, decides to remain in Lancaster and make it his mission to prevent the Amish midwife from harming newborns and their mothers. He certainly doesn’t expect to have his eyes opened to other ways to handle illnesses. But he has to admit, Leah’s methods do seem to work. When a crisis comes, they soon discover that it takes both of them to save a baby. *** A extra little secret: Those of you who get my newsletter already know this, but Kyle in The Amish Midwife’s Secret appeared in two earlier books. The Midwife story stands alone, but if you want to know more about Kyle and Emma’s past, you can find it in the Sisters & Friends series, Book 1, Change of Heart, and Book 2, Buried Secrets. 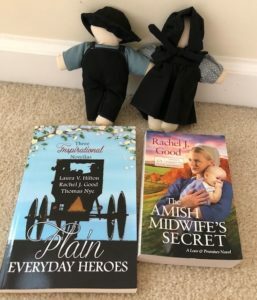 To celebrate her tour, Rachel is giving away a grand prize package of two faceless Amish dolls and an autographed copy of The Amish Midwife’s Secret and Plain Everyday Heroes!! "Swith on Your Brain Every Day"
a sweet new Christmas novella collection! 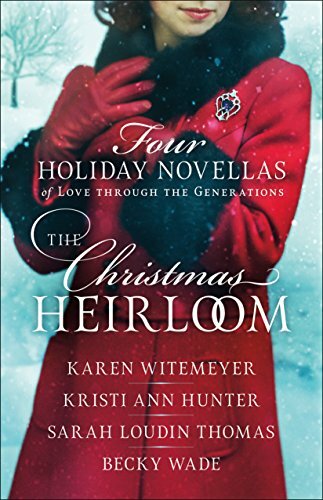 "The Christmas Heirloom" is my new favorite novella collection, I absolutely loved it! The story of this piece of jewelry is passed down through the generations and four women are highlighted in this collection as to when they receive the jewelry and how it coincides with each of them finding love. I had high hopes for this collection, I mean why wouldn't I with these authors as they are all amazing and I was not disappointed in the least! Kristi Ann Hunter kicks off this collection with a story set back in the early 1800's with sweet Sarah caring for the Dowager Countess of Densbury, but their relationship being so much more than that of employer/employee. Then we jump ahead to the late 1800's in Karen Witemeyer's story set in Texas with a widowed mother and her young daughter making a fresh start. Next is Sarah Loudin Thomas' novella set in West Virginia in 1958, focusing on Fleeta whom can outshoot every man around, until a new one shows up in town. This collection ends with Becky Wade's story set in present day in Washington State and the lovely Bradford sisters make an appearance from her Bradford Sisters series that is her current series. Each and every story is unique in this collection with one common theme, the women finding love at Christmas and the heirloom piece of jewelry that has been passed down through so many generations. Karen Witemeyer's story is such a sweet one as Ruth is desperate to provide for her daughter and be able to make a living on her own. However, the housing option that has been found for her is a good deal but so much more than she is able to afford and so she offers her most prized possession, a treasured heirloom that she hopes to pass to her daughter Naomi when she is older. However, the man who she renting from owns the biggest hotel and business in Hope Springs where so many travel to in the hopes of experiencing the healing powers of the water here. As Ruth and Naomi settle in at the café, their new home and the town, they find themselves feeling at home and also helping their landlord feel more at home as well as they help him without really trying or realizing what they are doing. The characters that Karen create just come to life in this story and I found myself just loving them all and the story. Myrtle of course became a favorite as she was just so full of love and full of life and the perfect person to help Ruth and Naomi through her café and as a motherly figure. I highly recommend this sweet collection of stories, this will truly put you in the Christmasy spirit and the feelings of love and hope. An in-depth, gospel-centered bible study on how Christ redeems even the worst forms of darkness lurking within and around us. Have you ever felt like God has left you? Struggled with feelings of bitterness or doubt? Hopelessness? Ruth’s message is not presented as a five-point sermon, but as a spectacular, romantic drama. Its story woos us into relationship with its characters and storyline, yet is also true, living history. This workbook-style bible study approach tackles important life topics including fractured relationships, all-in Christianity, God`s faithful devotion, and rightly processing bitterness and doubt. Can God be kind and all-powerful when the world is filled with despair? Andrea Thom is a wife, mom to three great kids, and a therapist. Known for being both deeply reflective yet quick-witted, she`s the parent on the sidelines yelling a little too loud for the home team, but also the one who loves to curl up with a good book and a hot cup of tea on a rainy day…or any day. She loves. Her family and friends – the whole messy lot of them. She loves unexpected belly laughs. Putting on warm clothes straight from the dryer. The colour blue. Efficiency. Reason. Tidy cupboards. Easter. Quietly gleaning through scripture’s pages at night before exhaustion folds her into her pillow. That`s a special space – it`s just Jesus and her there – – a hallowed, secret union that is theirs alone. She wants to live with eternity in mind and be consumed with what she’ll be enjoying forever – Jesus. That’s why she loves God’s word so much. Jesus is the only trustworthy One to offer real hope and redemption for our eternal futures and everyday realities. This is a great Bible Study! It is in-depth, but also right at my level I feel like; meaning it is not words and terms that are difficult to understand, but explanations and terminology that is easily to follow and understand. Ruth is such an important person in Biblical history and her story is one that is well-known, but I feel like just the very basics of her story. 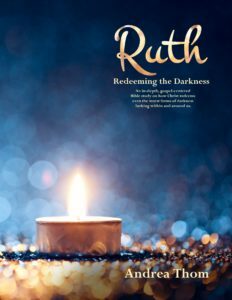 This study really dives into who Ruth is and her background and all aspects of her story giving the reading a deeper understanding and appreciation. There are additional verses and readings to help deepen your understanding of the text and there are reflection and content questions to help further understand the story. There is ample space for responding to these which I like as well. I felt inspired working through this study as Ruth really is an ordinary woman, she does not see herself as anyone special, but yet she relies on God and trusts Him and this is a great model for each of us to follow. Ø Dissolve yeast in warm water. Add honey, and stir well. Mix in whole wheat flour, salt, and vegetable oil. Work all-purpose flour in gradually. Ø Turn dough out onto a lightly floured surface, and knead for at least 10 minutes. When dough is smooth and elastic, place it in an oiled bowl. Turn several times in the bowl to coat the surface of the dough. Cover with a damp cloth. Let rise in a warm place until doubled in bulk, about 45 minutes. Ø Punch down the dough. Shape into two loaves, and place into two greased 9 x 5 inch loaf pans. Allow to rise until dough is 1 to 1 1/2 inches above pans. Ø Bake at 375 degrees F (190 degrees C) for 25 to 30 minutes. 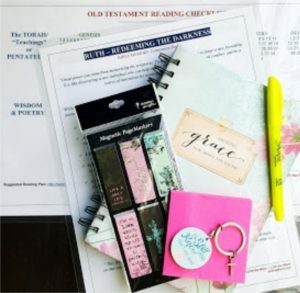 To celebrate her tour, Andrea is giving away a grand prize “Loving the Word” theme basket that includes a gorgeous writing journal with Scripture at the bottom of each lined page, 6 stunning magnetic book page markers,“Be still and know that I am God” Bible verse key chain, Highlighter/ Pink post-it note, Old Testament Bible Reading Checklist by LOVE the Word | LIVE the Word, & RUTH-Redeeming The Darkness Bible Memory Companion Sheet!! I love Christmas books and I have been really enjoying Carol Post's books, so this book was an obvious one for me to want to read and I was not disappointed! Colton returns to his housing development and sees a new neighbor moving in and he helps her, never guessing that she would be helping him only minutes later. Jasmine noticed Colton acting "weird" and so she stayed outside and alert, thus witnessing two masked individuals attempting to kidnap Colton's boy. This is just the beginning of their acquaintance that is quickly going to become more friendly not for the mere fact that they are neighbors, but that Colton has received numerous threats throughout the years through his occupation and Jasmine is a person whom can help provide protection. This is seriously such a sweet love story, but at the same time a high-paced intense read. I love the mix of suspense and romance and you will be through the story before you know it as it is that good! This is a great book to add to your reading pile for December!